EDIT: The survey is now over and the 'Yes' side won with 61.6% of the vote. That means that our poll was off by more than 10 percentage points and we are evaluating our polling process. It was our first poll outside of the US and there was not enough time for us to think it through that much. For example, we ran countrywide polls instead of state by state and that likely overrepresented certain urban areas that voted for 'Yes' to a greater extent. In future polls in Australia and other places outside the US we will use what we have learned through this and our accuracy will hopefully be higher. This post will now be archieved in 'Old Polls'. 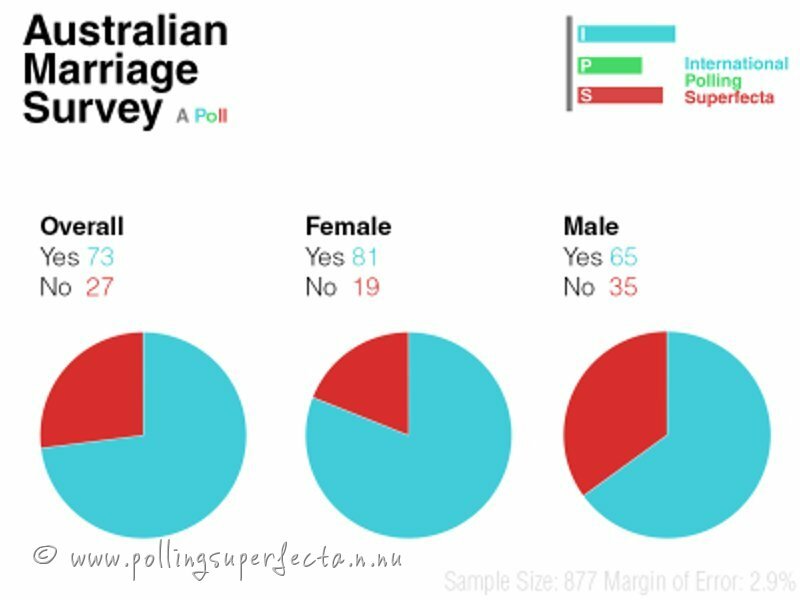 The poll was conducted by surveying online Android users between November 8-10,2017 with a sample size of 1014 people, of which 877 participants indicated they had taken part in the postal survey. Note, that the poll was conducted after the survey had already ended, but before the official results were counted and released. After the weighing process, the 'Yes' side won by a staggering 46 points with the results at 73% for 'Yes' vs 27% for 'No'. 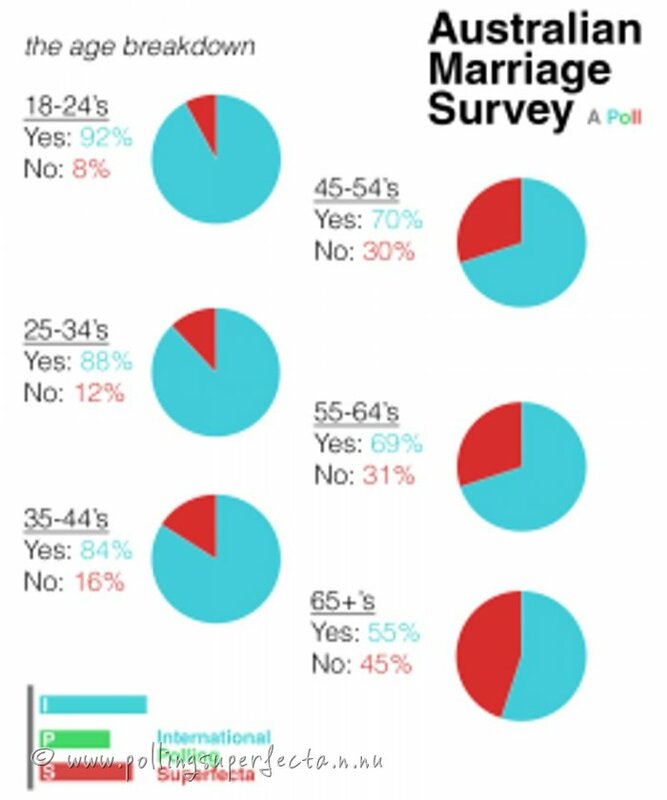 The support for the gay marriage bill was largest amongst 18-24 year olds where only 8% was calculated to have voted 'No' and smallest in the 65+ age bracket were 'Yes' is at 55% and 'No' at 45%, however, that is still a 10 point victory for 'Yes' in the most conservative bracket. Overall there was a correlation between age and likelyhood of supporting legalisation, the older the respondant was the more likely they were to vote 'No'. Did you find this poll interesting and don't want to miss out on any of them in the future? Please follow our Twitter account for regular updates! We poll elections both in the US and worldwide. By Felix Sandberg, IPS team. Credit to Ivy for putting together the graphs.